And for this tropical transplant, it has certainly felt like midwinter! In the Papua New Guinea (PNG) Highlands where Ukarumpa (our linguistic centre) is located—over 5,000 feet above sea level, it’s now the dry season, which essentially means that our rain is more drizzly rather than torrential, the mornings are filled with dense fog (called “sno” in Tok Pisin, the trade language of PNG), and it’s frigid enough in the mornings that my devotional time often ends huddled up in my bed with a dog, a cup of hot tea, slippers, sweatshirts, and a couple of blankets, while looking for the gloves and hat... (50 degrees F in the house—or, gasp, one morning was 44 DEGREES!—with no insulation or double-paned windows, my friends, is a wee bit chilly). Even the dog has his own sweatshirt! In light of all this, at my house, we would like to propose a new energy source...clouds. Because, you see, on nice sunny days, the rays of the sun beam down and hit our solar panel and voila! We have piping hot water for showers...just what you want on a day when the sun is baking the earth. This, of course, means that on frigid, cloudy days, the water is also like ice...a nice bracing wake-up in the morning (until we buckle down and boil some water on the stove and go for the bucket bath)...and all the while, that thick blanket of clouds wafts by overhead, unharnessed by the little people shivering underneath. Also, laundry. Let the record show that when laundry has to hang for a week so that it finally reaches a semblance of dryness, so the day you take it down is the day you do are supposed to do laundry again...well, what's the point? Not wanting to hog all the goodness of this spectacular plan, we invite you to join us in this venture. Don’t be afraid! Submit your designs today! We offer our house as a free testing facility for all your grand ideas and will even bake you cookies (as we huddle together by the oven for warmth). 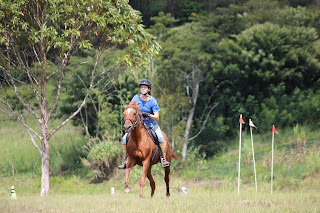 Isaac and his fellow youth leaders were developing their teaching and horsemanship skills as they helped lead a horse camp that I organized for the younger kids in the Ukarumpa community earlier this year. Horse health, colors, breeds, tack-cleaning, riding lessons, feeding and more were on the schedule as the kids learned more about themselves through horses. 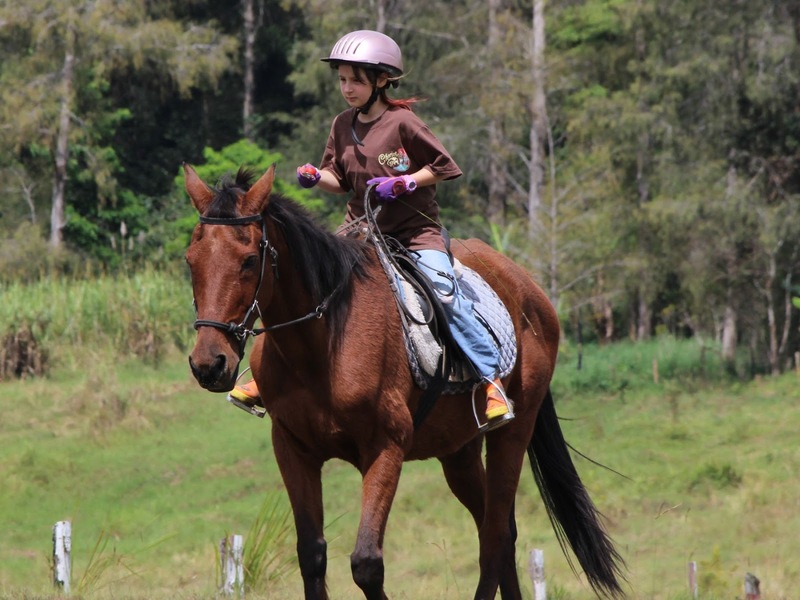 The Ukarumpa Pony Club has been around for decades, serving the youth and adults from dozens of countries who have come to work here in Papua New Guinea in Bible translation. 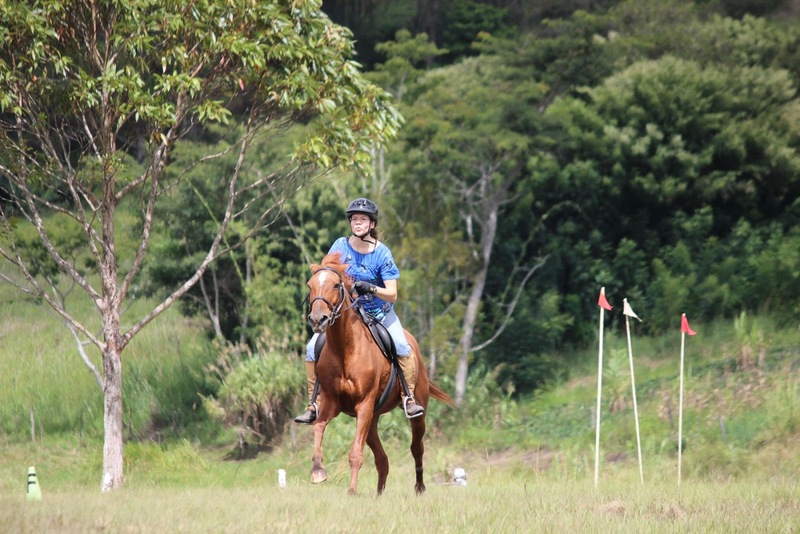 For many adults, the Pony Club is a valuable break, providing stress release and emotional/mental care from the rigors of life here, as well as a recreational athletic activity. (Those sorts of things are harder to come by here, especially for women who deal with more restrictions here—we can’t just spontaneously leave centre and go to the park for a run or the pool or head to the mall or the movie theatre or the coffee shop or even less exciting places like a gas station!) 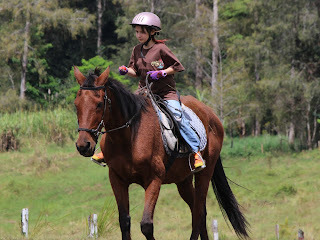 For the children, it promotes character development, responsibility, teamwork, sportsmanship, and communication skills, and for many, the horses encourage emotional stability as the kids deal with the many transitions and aches of missionary life. “I don’t know, I’ve never done this before,” Dana* admitted as she put her foot in the stirrup. “Firewood is a good soul,” I reassured her, “he’ll take care of you.” Dana took a deep breath and swung her leg over. Last November, the Pony Club sustained some significant damage when a local upset village attacked the horses and our facilities and destroyed a good portion of our property, which resulted in us needing to evacuate the horses to a different location for several months. Although we have since returned to our original location, after much discussion our leadership has concluded that the best solution for future peace and protection of horses and participants is to extend the primary Ukarumpa security fence around our pastures, arenas, and barn. However, as the Pony Club is entirely financed by individual members, we aren’t able to bear the extra expense of this fence alone. Would you consider partnering with us and helping us continue this valuable ministry for years to come? At this point, we only need another $8,395 for the fence (we’re 57% of the way there! ); we’ve been told we need the finances by the end of June. If you’d like to learn more and partner with us, check out our website (www.youcaring.com/UkarumpaPonyClub) and watch this video: (can you find me? :) I’m involved in 3 different ways in the video!). Join us in this race to the fenceline! Kosseck, Tuas, and James, three of the Kamano-Kafe translators were gathered together, reflecting on the challenges of translating the book of Exodus into their language. In addition to finishing the translation of Exodus, the team was spending three intensive weeks polishing an audio-recording of the book, to be distributed on hand-held audio players throughout the villages. These Audibibles create a critical link between the traditional oral culture of the Kamano-Kafe, where many people don’t read and write fluently, and the written Word of God. “The book of Exodus is a good book,” he said, “It’s similar to the story of when Jesus came to earth as Savior. It creates a bridge, a parallel...and so it’s our goal as a team that this book will help our people understand Jesus. Over the next year, I'm serving the Kamano-Kafe team as a translation adviser while the primary advisers are in the US on home assignment. This past week I had a chance to meet with the team and begin advising them as they translate the book of Leviticus. It was a lot of fun, but it left me really tired this week, so in the meantime, enjoy this article I originally wrote for The PNG Experience (the blog that chronicles translation and language work in Papua New Guinea). Stay tuned for more Kamano-Kafe stories and videos to introduce you to these remarkable people!